Can you be more specific please? What would you like to be able to do? 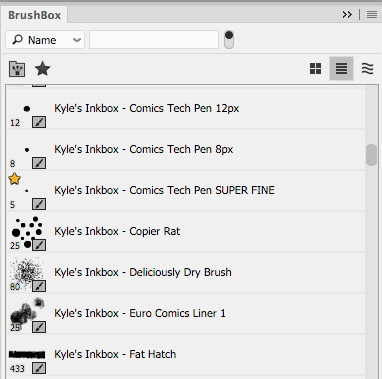 similar to what photoshop uses to manage and view brushes. I think something where you get own "brush-kit" (widget on the side, or drop-down list from top) where all brushes are listed. And then you can create new ones with samples or using simple "layer mask" technique where black on the white scratch pad is turned to the brush itself. 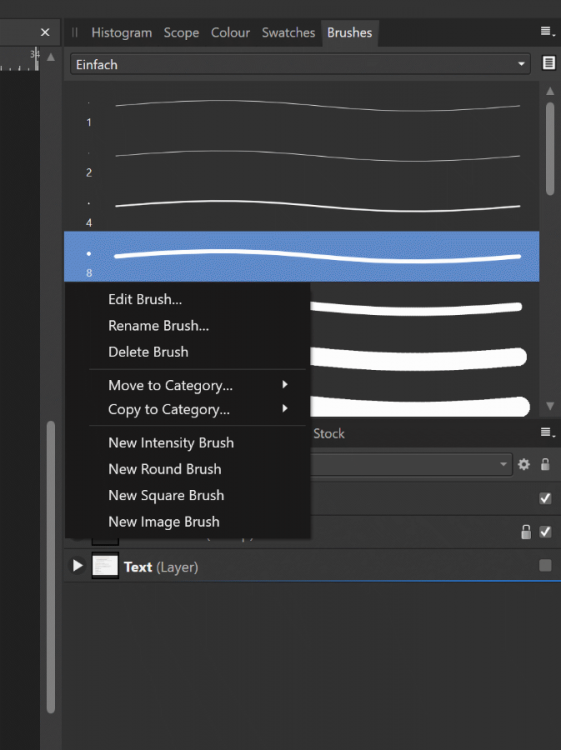 Users need some sort of simple way to organize and save favourite brushes in their own panel. There are now hundreds of brushes, all in separate panels. It's becoming counter productive and I think some sort of system is needed to get the most out of all of these great resources. Please be honest with us, A Brush |or| Preset Manager is not going to make it into Affinity Photo. I suspect the exact opposite will be the case. Affinity do seem to listen to their customers, and this is a useful and commonly requested feature. Brushes itself needs alot of improvements . Old Draw soft had a nice feature of alternating picture fragments along curve brush. Same as in Microsoft Design/ old Expression soft. Was very cool feature. And for pixel brushes a super coll improvement over Photoshop ones would be an ability to do a brush stroke on several specified layers at the same time. With specified dabs for each layer. For example one dab for "color"layer , other dub for "normal map" layer etc. 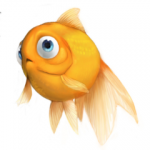 Maybe just same brushes Corel Painter or Art rage both have painting extra depth channel beyond regular RGB+ alpha. Would be nice to have a few brushes making GPU particle simulations on the fly, Something like Rebelle or Expresii , also depth/surface aware. Brushes that are "painting" some real world phenomena : rust , color drips. scratches in proper places through automatic depth masking etc and not just drop pixels on an artificial "layer". All this is extremely necessary nowadays to be considered an innovation and be really competitive IMO. Then a cool brush manager would be nice too of course. The most basic organization is needed I believe is having "folders" or categories and subcategories. So that we don't have this to look at to find brushes. That isn't what I mean. 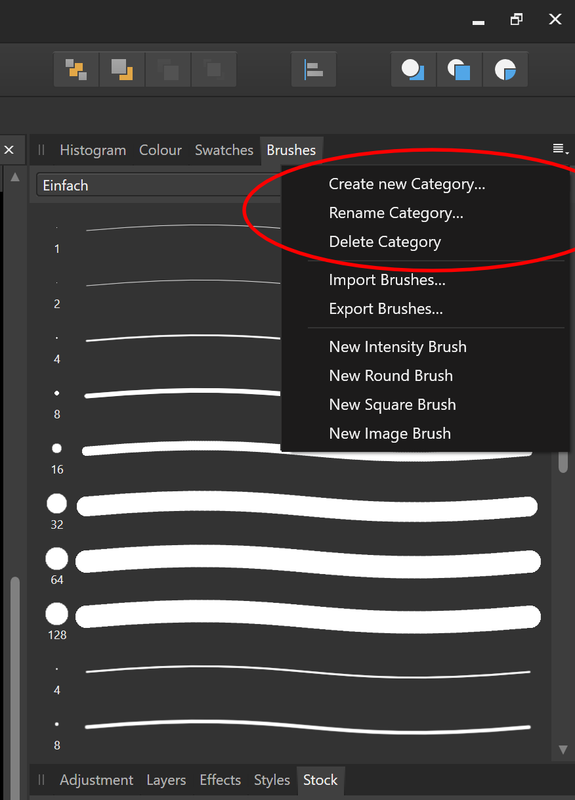 One can create a new category and place individual brushes inside a newly created category named whatever one wants, this is all good and dandy but being able to move entire brush "sets" into custom folders is what I believe needs to be addressed. I have way too many brushes now and it is getting unorganized. but being able to move entire brush "sets" into custom folders is what I believe needs to be addressed. I have way too many brushes now and it is getting unorganized. 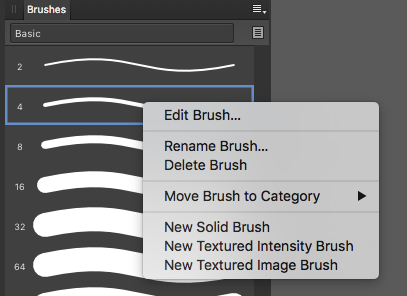 Is there a way to display a list with brush names in Affinity Photo, instead of only the stroke preview? I find that when working the strokes are very hard to tell apart, and having a list of names would definitely help when choosing quickly between a few dozen brushes. I happen to rely a lot on the names of the brushes to make my selection, maybe other artists work similarly? Right now, you have to hover over the names to get the name. It takes away valuable time to hover over a couple of brushes, wait for the pop-up to appear, and then find out you wanted a different one. This is not practical when switching between brushes all the time (particularly when they're similar looking ones). Since the names are stored with each brush anyway, it would be awesome to have a list with the names (or at least an option to change how the list is displayed). It lets you choose how to display the brushes, and you can mark favorites too. Without a brush management similar to that, Affinity Photo is not really practical to use with a few big sets of brushes. Hope you find a way to integrate this, otherwise it's a really cool piece of software!! How do you drag a fav brush into a new "favs" category? EDIT: I just found it! 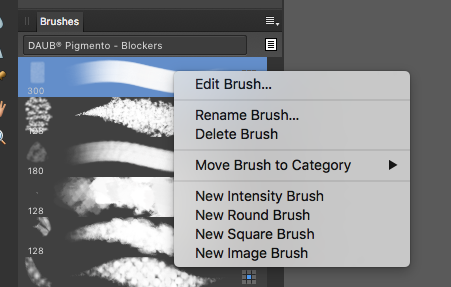 There is a "move brush to category" feature as a right click menu option. If you right click on the brush you want to move. This is awesome. Beware though as it does move the brush, not copying it. So it will remove it from it's original brush set. Maybe the addition of a "copy brush to category" would make a nice addition and give users a choice so they can have favs without breaking up the original brush set. Beware though as it does move the brush, not copying it. Also beware that you don't delete a brush or category, because those don't come back. I learned this the hard way. I sure wished the brushes stayed selected in the brush panel or rather highlighted. As soon as you click onto your document it goes away... and you have to guess which brush you're using. ... also it would be great if the brushes in Designer behaved like Photo in that they know which brush tool (pixel tool or paint brush tool) to use and enact the right one automatically. Photo seems to do this correctly. Currently it doesn't know so you have to go up to that tool icon and click it, then it jumps to the last brush you were using with that tool so you have to reselect the brush you want in the brush panel. Frustrating!! Beware though as it does move the brush, not copying it. So it will remove it from it's original brush set. Maybe the addition of a "copy brush to category" would make a nice addition and give users a choice so they can have favs without breaking up the original brush set. I just double checked and in both versions (current release and latest beta) there is also an entry 'Copy to Category...'. Did you miss that or is it not there for you? There should be one "Common" folder for all Affinity apps where all brushes, palettes and so on, could be copied/installed. Something like "Common > Brushes", "Common > Palettes". When the app is launched it will load only those it can handle. Strange. This doesn't occur for me. While I paint with a vector brush, I see that the brush is still selected. But if I switch personas and then come back, the brush is no longer selected. Aside from the default libraries, I wouldn't even know where on a Mac all Affinity content would be installed to find the Common folder. Hi Dominik, I don't see the copy to category in my brush panel right click menu. See attached from latest beta in both pixel and draw persona of Designer. Where did you see yours? Are you by any chance on a Mac? I was just going to say, one noticeable difference is that Retrograde is using Mac because of the difference of rounded edged white box vs the square black box. Yeah Mac os Sierra. Is that the reason I wonder? @MEB @Matt :-) Maybe it's a preference?